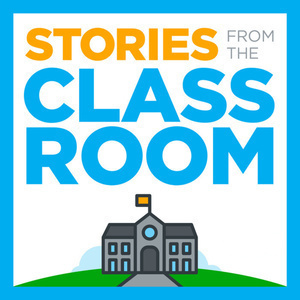 An audio documentary-style educational podcast exploring innovation in the classroom. Learn from amazing educators and get insight into how to bring these innovative lessons and ideas into your classroom. Created and hosted by Thom Gibson; a two-time Teacher of the Year educator, YouTuber, podcaster, and lifelong learner. A few months ago I didn't know that storytelling competitions were a thing. Then I heard Matthew Dicks on a podcast and he shared what makes for good storytelling. I thought it was interesting but it wasn't until he told a short 5-minute story that I was convinced of his mastery of the craft and I wanted to learn more. we listen to a novice storyteller (myself) tell a story to my class of a time I felt I really had no idea what I was doing but I didn't want anyone to know and I get Matthew's feedback on it. we listen to experienced storyteller/teacher Jennifer Bonaldo tell a story to a group of freshmen of a time she tried a little too hard to be with the 'in-crowd' and get Matthew's feedback. Matthew provides resources and insights for teachers wanting to implement more storytelling in their classrooms. Mindfulness has started to become a bit of a buzzword in the education space. Today we talk with a district mindfulness specialist, a psychologist, and a classroom teacher to explore what mindfulness is, what it isn't, why it's worth doing, and how to get started in your own life and in your classroom. The learning objective on Chalimar Chieza's Early American History classroom reads as follows: "The student will create sick rhymes that showcase their knowledge of the roots of government in the United States." One high school and economics teacher loved strategy board games growing up so he decided to turn his government and economics class into a complex game of life where students build their own society and economy...which inevitably invites collusion, lack of resources, hard lessons in investing, and arguments over the free market vs communism. Imagine Monopoly meets Settles of Catan meets Lord of the Flies meets The World Peace game. In this, I pulled a review that I did for my #bookstagram Instagram account for Carla Shalaby's 'Troublemakers' which is a book on what we can learn from kids who we generally deem as 'troublemakers' and how can we love and honor them as members or our learning community. What Makes A Great 1st Day of School? Is the first day of school the most important? Seems like a lot riding on it with trying to make sure every student feels seen & heard, gets excited about your class, AND begins a positive relationship with you, their classmates, and the content. Let's explore the first day of school. Think of your Kindergarten teacher. How do you think your educational experience would have been different if that teacher continued to be your teacher for every year until you graduated high school? 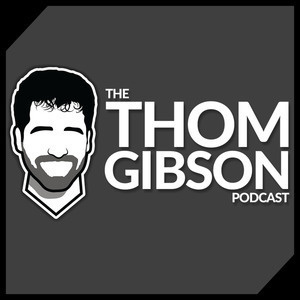 In today's podcast I chat with Mark Rogers, who will be starting a 13-year experiment this year. In Kindergarten, students are bursting with curiosity; why are doorknobs round, what is carpet made out of, why are my fingers little? Unfortunately, as students progress through their education, they tend to become less curious about the world around them and settle for just asking the questions that will get them the answers to pass the tests that determine their future. In todays episode, I chat with two-time Teacher-of-the-Year science teacher Kelley Janes who takes time out of every class to allow students to ask questions about the world around them; fostering, encouraging and nurturing that innate curiosity. After a rough go as a kid in some of the schools I went to, I vowed to learn martial arts some day. A month after I turned 30, I joined a Brazilian Jiu Jitsu school. I've been going strong now for a little over 5 months and I've begun to see a little bit of overlap between the mats and the classroom. How did becoming a learner at level 0 again impact me in the classroom? What insights did my coaches give me into teaching that I hadn't paid as much attention to? What can educators learn from the world of martial arts? Our first book club review - Man's Search For Meaning. I share the things that made me thing, that I connected to, and the mindsets I hope to also maintain.